Here is a small list of some new region free US Blu-ray movies, the list is from bluray.liesinc.net. The links in the list goes to Amazon.com. Here is the best selling DVD and Blu-ray movies on Amazon.com as of Sunday January 25th, 2009. Two new Virtual games in Europe this week, Friday January 23th, 2009. Tee off with Mario and friends as they put a new spin on golf! Choose from 14 different characters, each with their own power and swing styles. You can even taunt opponents to break their concentration! Mario Golf is packed with features, including 10 different modes (such as Tournament, Speed Golf and even Mini-Golf), and six different courses to play thorugh by earning Experience Points to progress. With easy-to-learn gameplay and a four-player competitive mode, anyone can get into the swing of Mario Golf! After the evil King was defeated, the kingdom of Wonder Land was a paradise… for a time. Then the peace was broken when a ferocious, fire-breathing dragon struck without warning and look over Wonder Land with swarm of evil, monstrous henchmen – turning the once peaceful land into one of utter chaos. Wonder Land became Monster Land. Unable to fight, the people looked to Wonder Boy. Realising that he was Wonder Land’s last hope, Wonder Boy set out on an incredible journey to rid the kingdom of the monsters and to ultimately defeat “invincible” evil dragon. Guide Wonder Boy through various enviroments and dungeons and deaf enemies, using special weapons and spells to save the kingdom of Wonder Land! 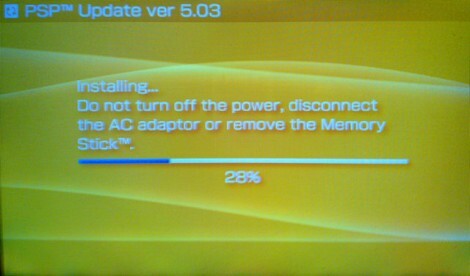 PSP got a minor firmware update this week. The new version is 5.03. 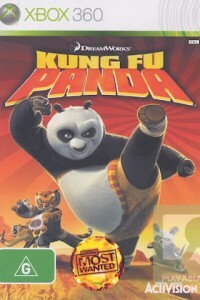 This weeks special at Play-Asia.com is Kung Fu Panda for Xbox 360. It will cost you US$ 19.90 and the game is region free (that means import friendly for you and me). Based on the DreamWorks Animation high-octane martial arts movie Kung Fu Panda, Kung Fu Panda (the game) takes you on an action-packed adventure through the movie and beyond. Battle against Tai Lung and his minions, navigate awesome environments, and overcome dangerous obstacles on your quest to become the legendary Dragon Warrior.